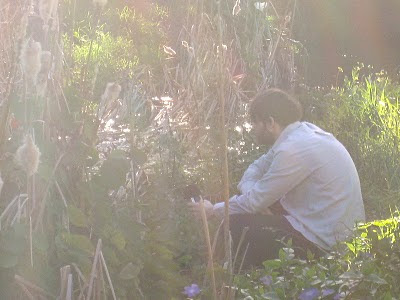 Francis Plagne’s music has been described as sounding as ‘close to Pet Sounds era Beach Boys as it does a musique concrète future classic or an exercise in folk collage’ (Mess + Noise) and as the ‘unlikely amalgam of Antonio Carlos Jobim's samba and an Andre Breton poem’ (ThreeThousand). 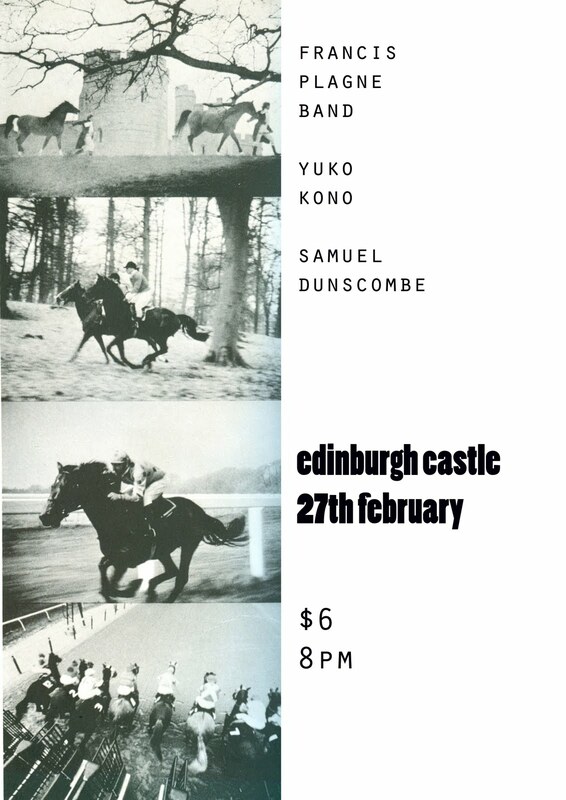 At the Edinburgh Castle he will perform with a five piece band: Connal Parsley (bass, guitar), Alex Garsden (guitar), Joe Talia (drums), James Rushford (viola), Judith Hamann (cello). Yuko Kono (Japan) leads Tokyo’s greatest minimalist psych-pop group, My Pal Foot Foot. Solo, she accompanies her whispered, highly melodic song-craft on nylon string acoustic guitar. Samuel Dunscombe, of vanguard Melbourne chamber ensemble Golden Fur, presents a visceral solo laptop performance, born of several years of theoretical and practical research into the possibilities of real-time digital music.